WAY WAY WAY back in 2003 I was sitting at TAFE, rather bored. And it suddenly occured to me to try and find out what the people who had made Maelstrom were doing now, and if they had made any other games. 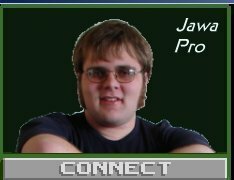 So I dug out a copy of the Manual, and started searching people's names on the net. I never really expected to find them. But I really struck gold. 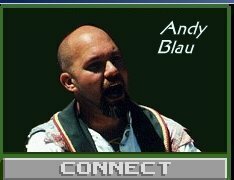 Not only did I find Andy Blau, the guy who created the story for Maelstrom (and the story is awesome), but I also found his email. I couldnt believe it. So I emailed him, and I got a reply. So here is an interview I conducted via email with the legend himself. You can read the whole email conversation here. I am about to rework my website (which is currrently pretty hopeless) and I plan to put a fanpage up for Maelstom. If I could ask you some questions to put up on the site as a sort of interview transcript, would you be interested? To be honest, I wrote the game about ten years ago (! ), so I don't remember a lot of the specifics. But I'll do the best I can with your questions. WOW! I am still suffering from shock that I managed to get in contact with someone who was partly responcible for the game. I still count that game as my favorite of all time, but I have heaps of trouble even finding someone who has even heard of it. I'm glad you liked the game - I poured a lot of myself into it (literally - the picture of Skave McGlade is, well, me. Compare the pic to some of the ones on my website (http://www.justadequate.com). And if you're really bored, Google "Skave McGlade"). Many of the character names and situations were based on things happening in my personal life at the time I wrote the game. What did you do for the game? The manual credits you for "Design and Written". Does this mean you wrote the story and things? It means the entire concept, from start to finish, was my idea. Every scrap of text said, every spec for every weapon or ship, I wrote. And the manual, too. We had an artist for all the people, a second artist for everything else, a musician for sounds and music, and a couple of programmers. And me, for everything else. That�s just incredible. I was sooo addicted to Maelstrom for years. As well as the game itself, I printed out the Planetary Compendium from the manual and the Who�s Who thing and I read them over and over and over. I was sooo hooked. I'm really pleased. I think that's all an author, performer, creator ever wants, to know that someone's enjoying his work. So I'm glad you're digging it. I got my copy in a set of CDs that Dad bought when we first got a CDrom. There were a few good CDs, including my two favourite games of all time, Maelstrom and Dune2. Apart from that, I have only found very few people who know anything about the game. There are only a very few websites that mention it, mainly www.the-underdogs.info and www.mobygames.com. Moby games has reviews by people who go to the site, and through that I got in contact with a dude from New York who also loved the game. I have seen the game for sale twice on Ebay (the American version, not the Australian one I use). Apart from that, no one knows anything about it. That�s why I want to make a website about it. I think that's pretty cool. And I didn't even know there was an Australian version - I wonder what's different in that version? I remember it was being translated into Japanese, and the translators were having a hell of a time with the 'cheat' section at the end because I wrote it all in 'Skave-speak'. NOTE: I was referring to the Australian version of Ebay - not Maelstrom. As far as I know I have the same game as was sold in the states. Just a little missunderstanding. It was never a *huge*, all-time hit like Doom or something like that, but we were all pretty pleased with how it did in the market. So are you a programmer? Have you made any other games, or was this a one-off? I'm not a programmer - not even close. I know the concepts and basics of object-oriented programming, and when I designed the game I kept those concepts in mind to keep things easy for the programmer, but I'm really just a game designer. We also put out a slightly modified version of the old arcade laser-disc game "Dragon's Lair", but there wasn't really a lot of designing needed for that. And there were two other games I wrote that never were created - I think there was lack of funding. Where did the ideas come from? Did you just make them all up? I read a *lot*, and at the time I was reading a lot of science fiction. The idea of having to harvest resources to keep your planet going came from an old strategy game called 'Command&Conquer' that I was enjoying at the time. In general, though, I was tired of really linear games - you know, you have to find the sword to kill the dragon to get the key to open the lock...and so on. If you don't do everything in the right order, you can't win the game. Maelstrom is different because there are different ways to win - you can sink your resources into research and just build the best ships, but just a few, and win. Or build a lot of ships, and win. Or devote resources to your spy network, and find the hidden stuff. The other feature that's different (or at least, was from other games at the time) was that there was an internal timeline, and stories kept happening in the background regardless of what you did or not. Plus, I wanted there to be a *lot* stories - I wanted a really rich game so that it could be played over and over again. Did you make much money from the game? Er...I'm trying to recall. I was only about 21 or 22 at the time, and I think I made a few thousand, which probably seemed like an awful lot at the time.
] Is it still for sale anywhere - or is it ok to do what underdogs did and put it on a site for download? It's probably a copyright violation, but it's old enough that I don't think anyone's going to complain. You could possibly find copies in the 'dollar-bin' at your local computer store, but other than that I don't think you can really buy it anywhere. I think about four to six months, from end to end. Was it a full-time job, or just sort of like a project? Did you fund it, or did a company hire you to make it? 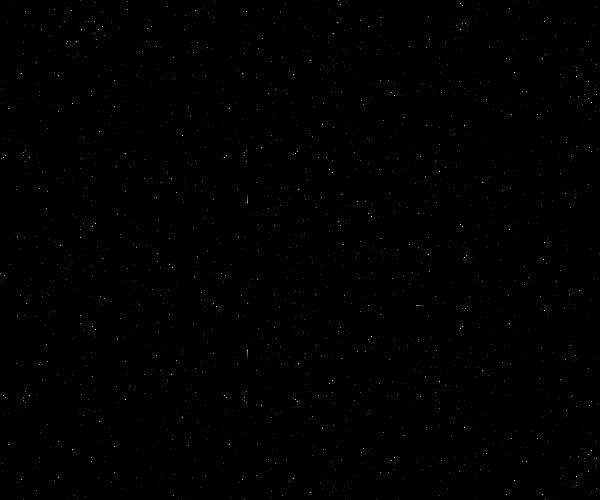 My best friend at the time, a very ambitious fellow (http://www.markvange.com) came to me one day and said he wanted to create a game, and would I write it? That's really how it started. It was just him running things, me creating it, a programmer from another province that Mark knew and brought in, an artist we found down in Texas and a musician from Colorado (I think). There wasn't really a lot of 'funding', per se - I mean, I already owned a computer and my contribution was all writing, so it's not like I really needed a lot of resources. I think I might have gotten a little start-up money, but really all I recall being promised was residuals from sales. Of course, I never really handled the business side, either - that was all Mark's part. I suppose there must have been money for creating the game, printing copies, distribution, etc., but it wasn't really my problem. Apart from me, have you heard much from the fans of the game? Was it ever very popular? At the time it did pretty well - won a few awards from a few gaming magazines and so forth. As for fans - at the time there wasn't anything like the internet, so it wasn't really easy for fans to contact someone. I remember being in a computer store one day, about a month after it came out and overhearing a few people talking about it, and I told them I was the creator, and they took me out to lunch and talked with me about it. That's about it. Really, I haven't thought about the game in years which is why it's pretty cool to have you writing now. And I did do a google search on Skave McGlade, and all I found was the manual at underdogs and a page from Zoltan�s website (http://www.justadequate.com/zup/feb99.htm). You're Zoltan right? And if you are Zoltan, you owe me a shirt - lol, just kidding. I am Zoltan, of course. Only one person ever claimed a shirt. They sent me a short note saying the name came from a character in Maelstrom, and giving their address. That's all I ever heard. Where abouts are you from? I assume you are from the USA, but I don�t know. Actually, I was born and raised in Toronto, Ontario, Canada. Did you ever write a book or anything about Maelstrom, or was the plot only ever intended for a computer game? It was only for a computer game. I don't think I have the discipline to write a whole book. I found the Alice May, and I rescued the ship from the Soraya Nebula. Were there any other hidden ships or anything to discover? Gah - this is one of those places I have to beg off - I don't recall! But I think those were the only two. The "Alice May", BTW, comes from an old poem by Robert Service (whom I was reading a lot at the time). 'Soraya' was the name of a girl I was dating when I was writing the game (and she just got married). I think I said before, a lot of the names in the game come from things in my life at the time. The three planets, Emo, Raryl, and Cylur are of course a reference to the three stooges, Moe, Larry and Curly. I didn�t read the hint section of the manual for years (deliberatly avoiding it untill I had finished the game on my own), and I didn�t actually contact Skave in the game until after I had read the manual, so I discovered both ships without help. I did get a hint that there was a cloaked planet somewhere between two planets though, but I couldn�t find it. Was there a planet and how do you find it? I don't remember a whole cloaked planet. The planet Rimble, where Skave lives is pretty difficult to get to, so that might have been what I was referring to. What was the eyeball? I reconed it and things, but it never seemed to tell me what it was, and I never got anything useful from it. A floating computer in space bigger than the death star, it just seemed to me that there should be a way to reactivate it and use it. Maybe that was a bit much to ask, but I was always dreaming about getting it going again. Again, I don't recall! I think the artist created it and it looked neat, but I didn't have a use for it since he created it after the most of the game was written. It might have just been a 'non-agression' device. At the time I was playing a lot of Dungeons&Dragons, and there were always people who just beat the crap out of everything they encountered, so I might have left it in as something you were just supposed to look at, and not particularly muck with. How on earth did you manage to come up with so many cool weapons for the ships? That�s one of the things I have heard from the few people who know the game, they thought the weapons were really cool. ust thunk 'em all up. Again, I was reading a lot of science fiction at the time, but I was also in univeristy working on my engineering degree, so my brain was in a lot of science. The 'Frapp' ray, though, was taken from the old comic strip 'Calvin&Hobbes'. If you're familiar with the strip, you know that one of Calvin's alter-egos was SpaceMan Spiff, and from time to time he used a Frapp Ray. The drawings were all from the artist. Sometimes I'd give him descriptions and he'd draw it, sometimes he'd draw something and I had to think about what it might be. The ships were cool, but so was everything else. I spent ages just reconing planets and reading through their history and stats. There were a couple of planets that were supposed to be uninhabited, but they were. This was the idea that it was to be a really full game, with lots to do, that you could keep playing over and over again. The only problem was that when I got their leaders in my list and my agents game they communications devices, it didn�t work. Every time I tried to call them it said they were busy. Some leaders had specific 'windows' that you had to call them to get information out of them. Everyone had some little bit of information. Also, I think sometimes you had to sway the population to your cause before they would talk to you - that's what 'insurgence' was for. I expect there was a lot of depth that I never found. A lot of sub plots and things that I only skimmed the surface on. It's possible. I might have to dig around and see if I can find all my old notes. I managed to win the game eventually, with a huge fleet of Harmony Dragon ships armed with the best my research teams could manage. It took my absolutely ages though, and I well and truly ran out of free people though. I could still hire captains, engineers, and computer operators, but I didn�t have any spare crewmen, so I ended up using mainly the little fighter craft that didn�t need the extra people. As I said, the intent was that there would be other ways to do it. But you know, in truth, I never actually played the game end to end! Sure, I tested it and so forth but I never really sat down and went through it. I think I'll have to do that, now. See how much I recall. I found the supply of the strange mineral, but I always sold it because my research gurus couldn�t find anything to use it for. I seem to recall that if you sold it to Tool (BTW, the mascot of the engineering university I was attending was called 'Tool'...but now I'm thinking the planet may have been called 'Dice'...something was Dice, anyway), that there were new weapons available. You may not have specifically noticed it, but I think if you never discover the mineral you will never get some of the weapons. I did a dossier on Mr Fredericks, and my agent found something in his past, but I never could read his file because it was top secret. Was there a way to read it, or was it always that way? I'm pretty sure it was always that way. That was just a little joke, just like him having sunglasses so you never saw him blink. Did you enjoy making the game, and would you like to see anyone else make a new version with current technology? I guess Mark's company does, if anyone. The original company that created it no longer exists. If I was looking for interesting stuff for my website, would you have anything from when you were creating the game, or any promotional stuff that you think would be interesting, or was it soo long ago that you�ve thrown all that sort of stuff away? Probably. I can check with Mark and see - he might have some old ads, or something like that. Do you own a copy of the game? Yep, one on floppy and one on CD. But as I said, I don't think they'll run properly on my new system. But I am thinking of downloading it now, and trying to play it through. Of course, I'm sort of worried that I'll go back and play it and think, "Oh man - what was I thinking? It would have been better if I only..."
Do you still play games much? What would be your favourite? I do play games, but I like thinking/strategy games more than anything else, even if they're older arcade style. I don't play any of the current 'driving' or 'fighting' games. I've been enjoying the StarCraft (and earlier WarCraft) series. And just before I came down here I downloaded an old (but very popular) game called "Prince of Persia". I loved it a few years ago and just suddenly wanted to try it again. It was tough to find because "Prince of Persia - Sands of Time" just came out for SuperNES and pages for that game clog all the search engines. But if you've ever played it, you know what a great little arcade game it is. Simple, elegant, but it still requires a certain amount of timing and thought to play it. Do you like most Sci-Fi? I would guess that you do, or at least did because of the game you made. What sort of Sci-Fi do you prefer? Things like Star Wars? I do read a lot of sf, though the authors I tend to read call it 'speculative fiction' rather than sci-fi. Sci-fi tends to have a real emphasis on the 'science', whereas I like a good plot and good characters. Some favorite authors include Robert Heinlein, Spider Robinson (the earlier stuff), Ian M. Banks, Leo Frankowski, RR Martin, Orson Scott Card, Jim Gardiner...uh, probably others, but that's off the top of my head. Anyway, thanks for taking the time to answer this. I just cant help but jump at the chance to talk to you about Maelstrom. It�s almost like talking to George Lucas or something. Almost like George Lucas, but no-one's heard of me and I don't have the money. At least I'm not planning on selling out and creating a couple of lousy, badly-targetted, disappointing prequels. Sorry for the delay sending this, but as I said, email access can be difficult when I'm on the road. But I do thank you for sending it - it's nice to know that someone really enjoyed the game, and may still be doing so. It's almost like a little science fiction, like I'm emailing back into a time warp. If you have any more questions, you can send 'em along. And if you ever get that website up, you know I want to see it.